It is the second day of the year. I have not exercised. I have not made a list of resolutions. But I have moved most of the furniture in my house. This then, is my new beginning. Dusting. Vacuuming. Putting away. Shoving and repositioning. 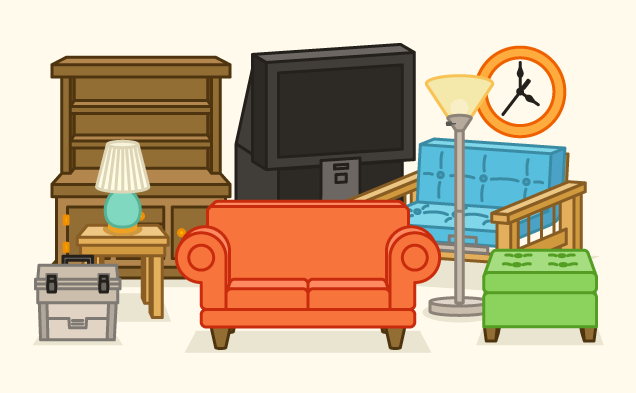 There's really only so many ways a room can be rearranged. And while I've only been in this house for a year and a half now, I've been through quite a few of them. It takes a while to make things right. I suppose I'm still settling in. Making this our home. I've never studied Feng Sui, and I'm not sure that principles relating furniture to the four corners would make my mind quiet down. But I do know that most of my large pieces of furniture are on furniture movers permanently. Because I'm still not certain they've found their spot. Moving the furniture is nice, because it isn't permanent. When you paint, you pick a color, and you take the hours of effort to plaster it all over the walls. If you don't like it, you've lost work and money. And it takes all that over again to make it right. When I move a bed to the opposite side of the room, I end up physically tired. But if I want to move it again tomorrow, I'm free to do so. I do well with change that can't close me in and tie me down tight. Change without consequences. I have ruined furniture and walls, of course. Bumped into things and irreparably changed them. Our crib has a gash down one side. Our couch has some wood on the back that's come slightly unhinged. There are colors on the walls that shouldn't be there. I'm willing to pay this price. All to come to the end of the day and feel like I have done something real and tangible that might make life flow a little better. Feel a little more cozy. Be a little more right. All to start a new year on some sort of new foot.